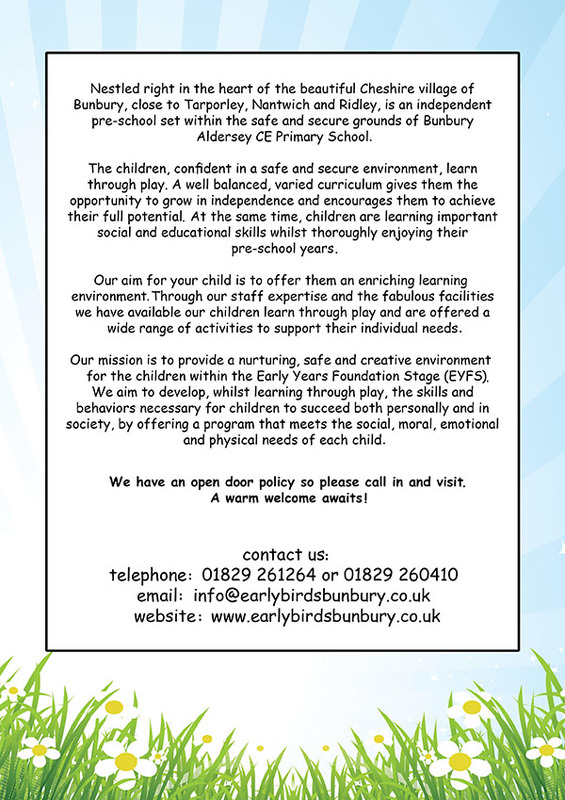 Early Birds Pre-School was founded as Bunbury Playgroup in 1969. 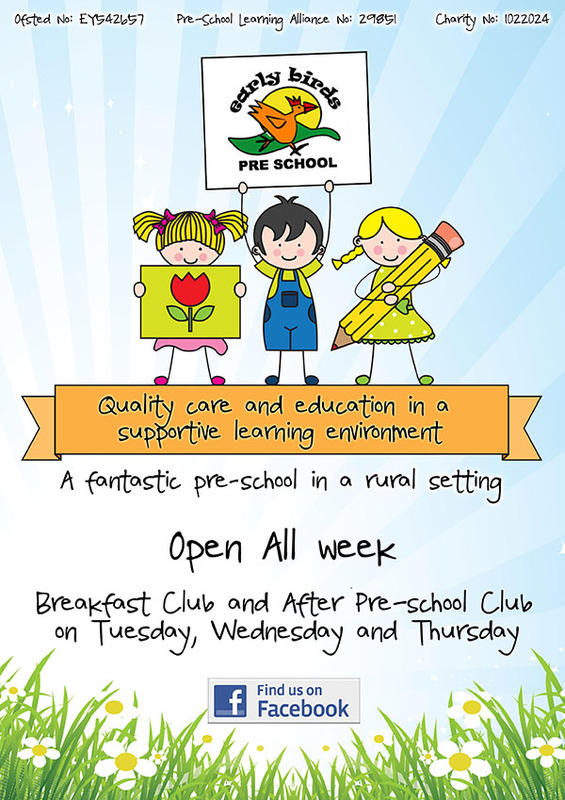 Since this time the Pre-School has established a reputation as an excellent provider of Early Years education, providing opportunities for children in the important pre-school years within a supportive, happy and stimulating environment. Find out more on their website.